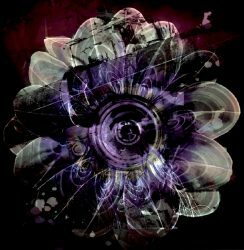 In the mid-90’s the multi-talented genius Bill Laswell proved that ambient soundscapes and low basslines can match together perfectly. 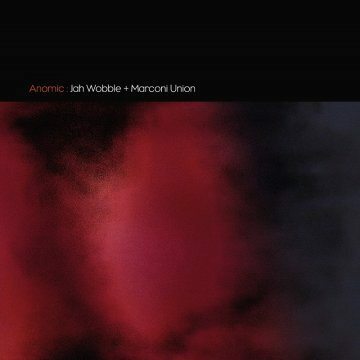 Still, it was some surprise for me to find Jah Wobble’s trademark low rumbling basslines merging with the cinematic ambient sounds of Marconi Union (Richard Talbot and Jamie Crossley) on their recent collaboration album “Anomic“. Talbot and Wobble both live in Stockport, Cheshire, which is probably where and why they met and decided to work together. Ever since the early 80’s, after initially playing bass in Public Image Ltd, Jah Wobble (the nickname Sid Vicious gave John Wardle after a “drunken binge”) has combined all kinds of styles and genres – rock, punk, reggae, but also eastern and ‘global’ music. His distinct, functional bass playing style is easily recognisable. Compared to Wobble’s discography (30+ albums since 1980), Marconi Union are relative youngsters: they have been releasing (critically acclaimed) albums since 2003 (their latest, “Different Colours“ in 2012). Knowing the musical history of all involved, it is no real surprise that “Anomic” – released on Jah Wobble’s own 30 Hertz label – is a fascinating album. As expected, the sum is definitely more than the separate parts. Wobble’s playing in closes in around you tightly, while in the same time the soundscapes and melodic themes provided by Marconi Union widen the view. From the seven tracks on “Anomic“, all but one are instrumental. For me personally, “The Rain Has Stopped” – spoken word poetry of a ‘post-coïtal’ nature – somewhat breaks the spell that was created by the preceding tracks. But luckily it is immediately followed by another fantastic instrumental track closing this remarkable album.